D-TEK Stratus combines the superior leak detection of INFICON D-TEK leak detectors with the cloud hunting capability of a portable monitor all in one hand-held unit. Quickly locate the area containing the leak using the large, easy-to-read LCD display, and then pinpoint the leak all with one instrument! 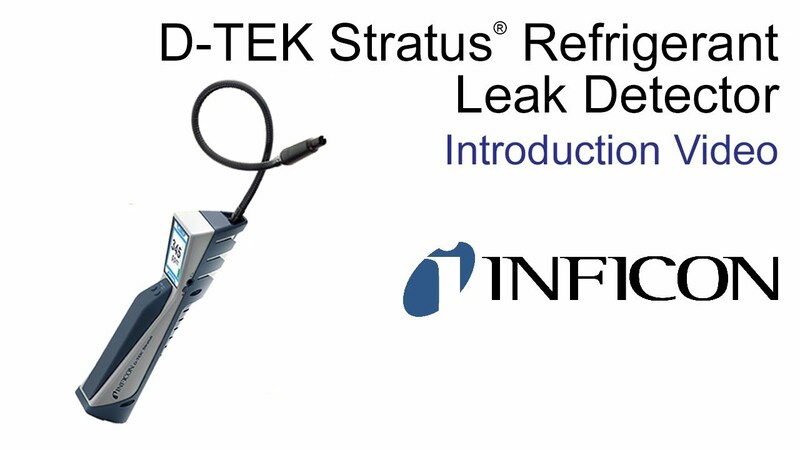 D-TEK Stratus is the next big thing in refrigerant leak detection. process control software that enhance productivity and quality in sophisticated industrial vacuum processes. These analysis, measurement and control products are essential for gas leak detection in air conditioning/ refrigeration, and automotive manufacturing. They are vital to equipment manufacturers and end-users in the complex fabrication of semiconductors and thin film coatings for optics, flat panel displays, solar cells and industrial vacuum coating applications. Other users of vacuum based processes include the life sciences, research, aerospace, packaging, heat treatment, laser cutting and many other industrial processes. We also leverage our expertise in vacuum technology to provide unique, toxic chemical analysis products for emergency response, security, and environmental monitoring. INFICON is headquartered in Switzerland and has world-class manufacturing facilities in Europe, the United States and China, as well as subsidiaries in China, Finland, France, Germany, India, Italy, Japan, Korea, Liechtenstein, Singapore, Sweden, Switzerland, Taiwan, the United Kingdom and the United States. INFICON registered shares (IFCN) are listed on SIX Swiss Exchange. For more information about INFICON and its products, please visit www.inficon.com.